Painter, graphic designer, associated with the Łódź avant-garde movement. He also created spatial art, sculptures and architectural design. Born on May 3, 1917 in Łódź. Died on September 27, 1983 in Paris. He was the son of Julia (Jenta) Offenbach and Roman (Abram Hersz) Szczekacz, owner of"Offenbach Central Baths" located at 38 Zachodnia Street inŁódź. Szczekacz descended from a society ofJews who were aware of their identity and cultural heritage, spoke Polish and Yiddish at homes, and forwhom adopting Polish culture did not necessarily entail full assimilation. Samuel Szczekaczwas born into quite a wealthy family.In contrast to a majority of his friends, he was brought up outside the traditional Jewish district.In1935, he graduated from high school and passed his matriculation exams in Łódź. 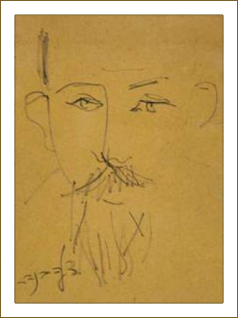 Between1934-1935, Szczekacz and his friend Julian Lewin studied at Maurycy Trębacz studio,then the best private drawing and painting atelier in Łódź. Within the years of 1934 and 1938, he worked as an editor of an avant-garde magazine Forma / Form published in Łódź. 1935 was a turning point in the career of Samuel Szczekacz and his friends. Jankiel Adler introduced the young artists to Mojżesz Broderson, a poet and co founder of a revue show theatre "Ararat", who inturn recommended them to Władysław Strzemiński. At the end of 1935, Szczekacz together with Julian Lewin, Pinkas Szwarc and Yehuda Tarmu entered private evening courses hosted by Strzemiński, who worked as a teacher at the Public Vocational and Continuing Education School No. 10 inŁódź. The avant-garde art was an entirely new discovery for these young people and it became a heady fascination. They studied the theory of abstraction, and its application to the rules of composition in modern painting. Strzemiński's lectures covered new artistic ideas referring to the art of Picasso, Malewicz, Modrian, or Arp. The studies of the avant-garde classic works enabled Strzemiński's students to quickly learn Cubistic, Suprematic, or Neoplastic composition rules, as well as integrate some of the distant lexicons of abstraction. Diverse compositions painted in Unistic, Suprematic and Cubistic style by Samuel Szczekacz during that year show what an intense and comprehensive educational program it was. 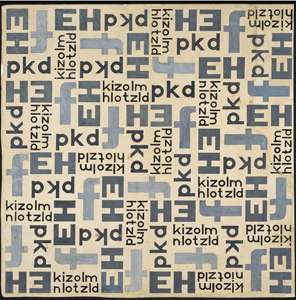 In the spirit of the radical avant-garde,the young artists studied not only drawing and painting, but also printing, typography and photomontage of which Samuel Szczekacz was fond at that time. They also explored the field of spatial art, sculpture and architectural design. The first abstract compositions of Szczekacz are composed of a balanced system of horizontal and vertical lines intersected with arches. The areas created by the intersections are filled with colours from a limited palette and their textures are differentiated. The artist often introduced fragments of words or letters onto his paintings. Szczekacz drew inspiration from French Cubism and Dutch Neoplasticism. Upon Strzemiński's recommendation and inspite of his young age, on December 29, 1936, Samuel Szczekacz (just like his friends) became an ordinary member ofthe Union of Polish Artists and Designers in Łódź. He received the membership card onMay 24, 1937. As a rightful member, Szczekaczwas entitled to participate in the Union's exhibitions. He exhibited at a few shows in January 1937 and April 1938 in Łódź; in November and December 1938 in Krakow and Lviv and in January 1939 againin Łódź. In 1937, the artist who had not yet turned twenty, exhibited his works at the Art Propaganda Institute in Warsaw at a show centered on the Union of Polish Artists and Designers in Łódź. The exhibited paintings, namely Kompozycja I / Composition I and Kompozycja II / Composition II, Głowa / Head, Martwa natura / Still Life, were rooted in the tradition of Cubism. A few works, although it is not sure toda ywhich ones, Strzemiński chose for the collection of the Museum of Art in Łódź. The museum's collection probably also included Szczekacz's Rzeźby neoplastyczne / Neoplastic Sculptures which are known only from the photographic reproductions since they are considered lost. At a subsequent exhibitionhosted by the Art Propaganda Institute in 1938,the artist displayed his architectural projects: Osiedle szkolne / School District, Kryty basen / Indoor Pool,Willa podmiejska / Suburban Villa. 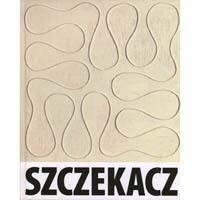 Szczekacz also showed his most famous works Struktura / Structure and Studia typograficzne / Typographical Studies there. Structure is painted with tempera. The fonts of the letters (m, r, l, o, a, n, i) were placed on a plain background and given the role of graphic signs deprived of any meanings but composed into consistent, geometric forms. They Typographical Studies, in which the artist put together fonts of different sizes, is similar in form but more diverse. However, the structure of its compositionis as strict, clear and precise. The artist also created lithographic versions of Structure in which he repeated the composition in various colours. "Unity of a painting cannot be achieved by a system of juxtaposed shapes and colours as dynamic signs. Unity of a composition may be achieved only by composing equal and correlative malleable elements, organically related to flat surface of the painting and its borders". At the end of the '30s, the career of this very young, and yet very mature artist, began to show even more promise. 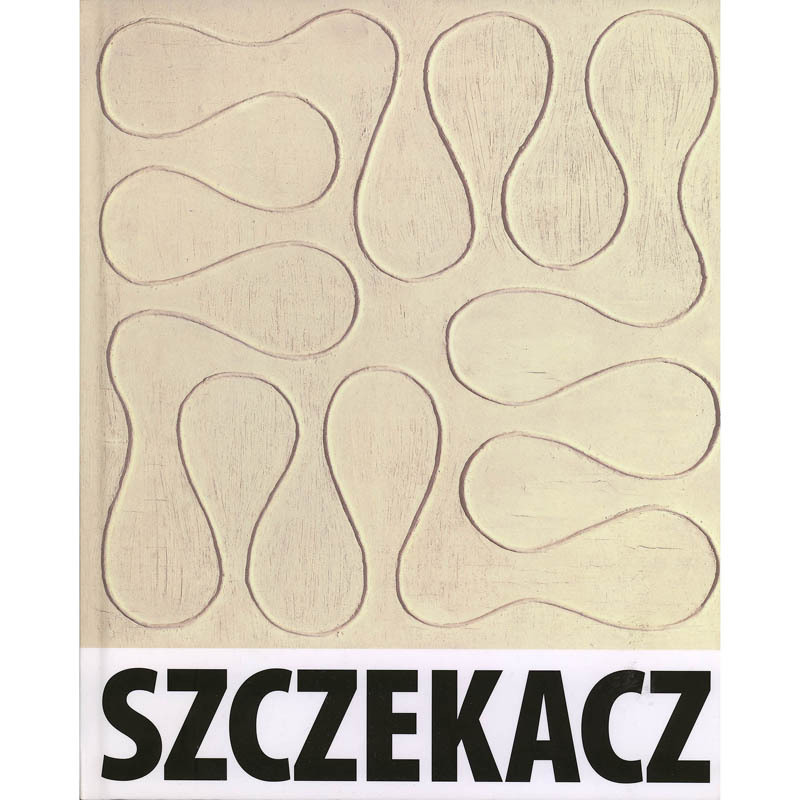 At the end of 1938, Szczekacz left for Belgium where he planned to study architecture. He took his works painted in Łódź with him and in this way saved them from destruction during the war. After leaving the country, he took part in the last exhibition before the outbreak of war hosted by the Art Propaganda Institute in1939. 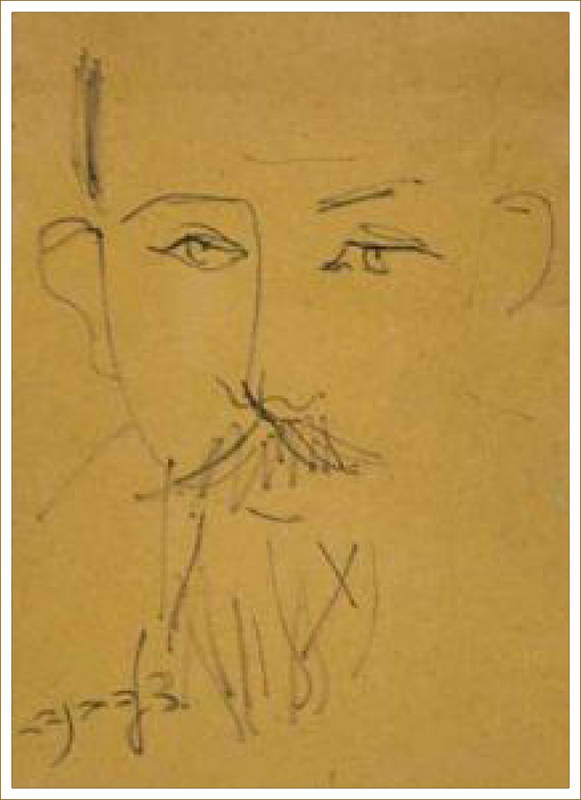 He exhibited works which were displayed earlier in Kraków and Lviv such as: Kompozycje unistyczne / Unistic Compositions, Kompozycje kubistyczne / Cubistic Compositions and Rzeźby unistyczne / Unistic Sculptures. A photographic record of the exhibition was later sent to Szczekacz and preserved in the artist's archives. Today,the photographs make it possible to recreate fragments of that exhibition. They mostly show reliefs, or what the artist used to call "carvings". Their innovative form was based on juxtaposed and diverse spatial compositions of lines and areas situated in horizontally and vertically. The colour palette of these works draws from the tradition of Neoplasticism. Soon before leaving Łódź, Samuel Szczekacz designed graphics for the volume entitled Motorem słów / Words Catalyst, a collectionof sixteenpoems by Władysław Strzemiński published under the pseudonym of Leon Grabowski. 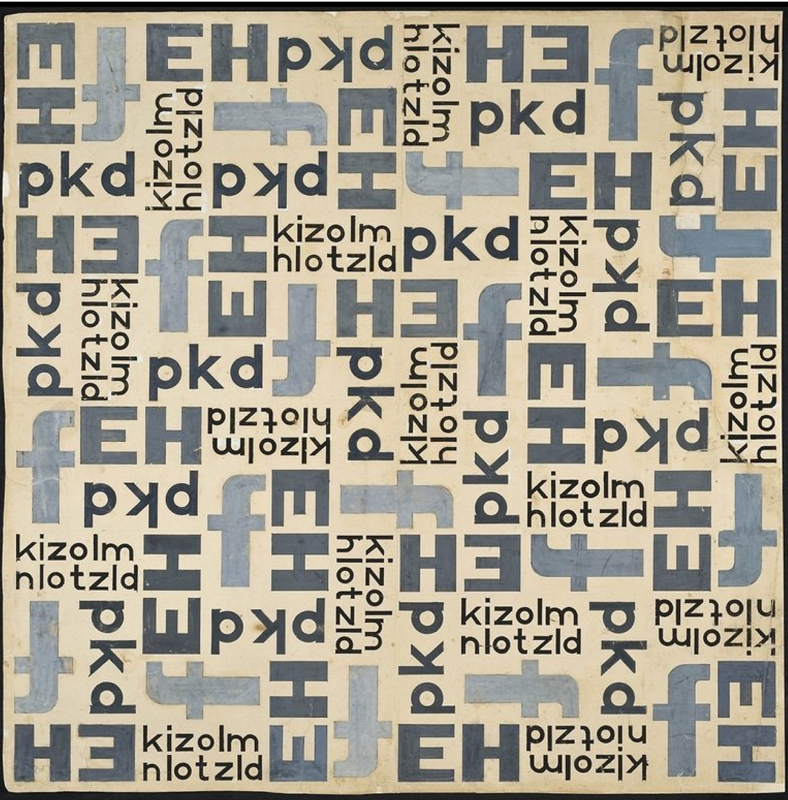 One of only two preserved copies is kept in the artist's archives.In 1939, already after leaving Poland, Szczekacz designed a second version of the cover for a new edition of the collection. The artist proposed a more dynamic composition into which he introduced colours - red and light blue. In 1939, Szczekacz emigrated from Belgium to Palestine where he entered the Hebrew University of Jerusalem. There, he changed his name to Zur. As he was not able to make a living from his painting, since the end of the 1940s the artist worked as a utility designer, typographer, sculptor and architect. He had an excellent background derived from the period of studies under Strzemiński's supervision. The artist designed the Israeli pavilions for the International Trade Fairs in Brusse ls and Poznań in1966. He lived inTel Aviv. He married Nicole Schpilka and they had a daughter Michèle. In 1983,the artist left to Paris for "Présences Polonaises. L'Art vivant autour du Musée de Łódź" exhibition hosted by Centre Georges Pompidou in Paris. His works were displayed at this exhibitionfor the first time after forty-five years. There he died of a heart attack on September 27, 1983. Sources: • Janusz Zagrodzki "Harmonia jedności" / "Harmony of Unity", in "Samuel Szczekacz 1917-1983", ed. Ulrike Graul, Galerie Berinson,Berlin, 2009 • Zenobia Karnicka,"Julian Lewin, Samuel Szczekacz-Zur, Pinhus Szwarc (Pinchas Shaar)", in"Polak, Żyd, artysta. Tożsamość a awangarda" / "Pole,Jew, Artist. Identity and Avant-garde", Museum of Art inŁódź, 2009 Author: Magdalena Wróblewska,July 2010. Translated by Katarzyna Różańska, September 2010.